The recent general election in the United Kingdom that had been announced by the prime minister ended up putting a wrench into the discussions about the FOBTs in the country. 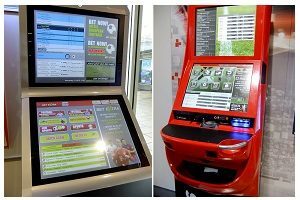 This included a review of the prizes which could be offered at such fixed-odds betting terminals. Those machines have been prevalent throughout a large part of the United Kingdom (UK casinos on this page). While FOBTs have been popular around the UK over the years, there has been some debate over how well these may be operated. This comes amid a time where many FOBTs have been contributing to worries over problem gambling activities and various addictions. The delay in the reviews of FOBTs has been concerning to many in the gambling industry. This includes the British Amusement Catering Trade Association, a group which is concerned about these machines being dangerous and harmful to people. There are also concerns about the £100 stakes for people to potentially use at such terminals. The high limits being offered are especially going to put a number of people at risk of losing a large amount of money and cause their gambling habits to become worse. Bookmakers around the UK are hoping at this juncture that various added efforts can help to keep reviews of FOBTs from happening. Although such reviews have been deemed to be critical, bookmakers are hoping for help to keep reviews from being a serious threat. The reviews come as there are concerns among those groups over how the earnings and revenues being generated by these might be heavily limited depending on the particular rulings to be found. The UK Department for Culture, Media and Sport has been hoping to get a proper review of such terminals. Part of the analysis and what could potentially happen include getting the maximum stakes on such machines to be cut to £2 down from the £100 that they are at. Concerns are building among bookmakers out of the fear that the revenues they would collect will be dramatically reduced. There would also be limited on how television advertisements and other marketing materials may be used. The effort all comes amid worries over how different promotional efforts can work as needed. Many bookmakers are citing that FOBTs are their highest sources of revenue. Also, these FOBTs are being run by a number of powerful entities in the gambling industry like Ladbrokes Coral and William Hill, thus adding to the concern that some of these groups will not have the funds they are looking for to help them with getting more money as needed. How Long Is the Review? The timing for the review, provided with the belief that it does go along as many have been hoping, is unclear at this juncture. There is the ongoing belief over how any changes to the industry could happen as early as 2018. Although there have been numerous general efforts to keep the industry moving forward, there is the basic fear that all the moves being handled by the government would do more to keep the industry from being as healthy as people would think it could be.